One of the hardest things that a new business owner will have to do is to obtain new customers. There is so much competition out there in the world of small business, which means that a business owner will have to take the time to develop an adequate marketing strategy. One of the best ways to reach a new audience is by getting a company website built. You will need to make sure that the website you have relevant and keyword rich content. Doing customer focused keyword research is a great way to fill your content with what people are searching for. Below are some of the things that a business owner needs to consider when trying to come up with a keyword strategy. The first thing that you need to do when trying to create an adequate keyword strategy is to find out what your competitors are doing. Usually, you will be able to get a good idea of what your audience is looking for by checking out a competitor's website. The more research you are able to do during this process, the easier you will find it to achieve the level of success you are looking for. Another great source of information when trying to find the right keywords are industry trends. In order for your company to be viewed as a leader in your industry, you will need to stay up to date on any developments. By using keywords related to recent developments in your industry, you will be able to garner more attention from your audience. Using words that are trending can also help to boost your search engine rankings and get you the attention that you are looking for from your audience. 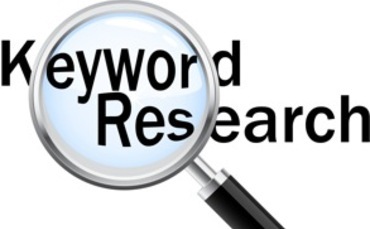 In some instances, a business owner will need to take the time to get some professional help with their keyword list. Some business owners are very unaware of what it takes to get to the top of powerful search engines like Google. Employing a professional with experience in this type of marketing is the best way to find out what needs to be done to garner your website the attention it needs. Before hiring a company, you need to consider how much experience they have and how successful they have been in helping other businesses. The more you are able to find out about an SEO company and their overall level of experience, the easier it will be to choose the right one. The money spent on this type of help will be more than worth it in the end. Message: I hope that you have enjoyed 'Helpful Tips on Building a Great Keyword List' article. However, if you want me to deliver more items, then please share my post. You can use Social Sharing Widget provided at the end of every post. After all, Sharing is Caring!